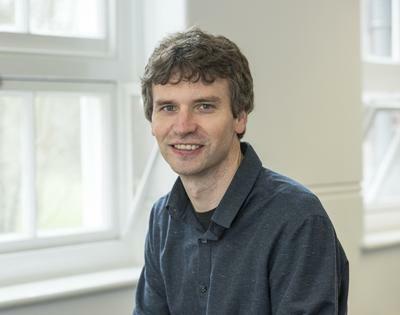 Dr Jonathan Way is Associate Professor in Philosophy at the University of Southampton. Jonathan completed his PhD at the University of California, Santa Barbara in December 2008. He then held a temporary lectureship at the University of Stirling, before joining Southampton in February 2011. Jonathan's research focuses on issues in ethics and epistemology, broadly construed. He is especially interested in issues to do with reasons, rationality, value, and normativity, across both epistemic and practical domains, and is happy to supervise PhD work on any of these topics. Jonathan also has general interests in action theory, normative ethics, and various issues in philosophy of mind and language. Mchugh, C., & Way, J. (Accepted/In press). Against the taking condition. Philosophical Issues, 1-22. Way, J. (Accepted/In press). Two arguments for Evidentialism. The Philosophical Quarterly, 1-24. McHugh, C., & Way, J. (2014). Broome on reasoning. Teorema: International Journal of Philosophy, 34(2), 131-140. Way, J. (Accepted/In press). Reasons as premises of good reasoning. Pacific Philosophical Quarterly. Way, J. (2013). Intentions, akrasia, and mere permissibility. Organon F, 20(4), 588-611. Way, J. (2012). Rationality, instrumental. Routledge Encyclopedia of Philosophy, 1. Way, J. (2009). Two accounts of the normativity of rationality. Journal of Ethics & Social Philosophy, 1-9. Way, J. (Accepted/In press). Creditworthiness and matching principles. In Oxford Studies in Normative Ethics, Volume 7 Oxford, GB: Oxford University Press. Way, J. (2013). Value and reasons to favour. In R. Shafer-Landau (Ed. ), Oxford Studies in Metaethics, Volume 8 (pp. 27-49). (Oxford Studies in Metaethics). Oxford, GB: Oxford University Press. Way, J. (Accepted/In press). Review of Practical Shape: A Theory of Practical Reasoning, by Jonathan Dancy (OUP, 2018). Ethics.